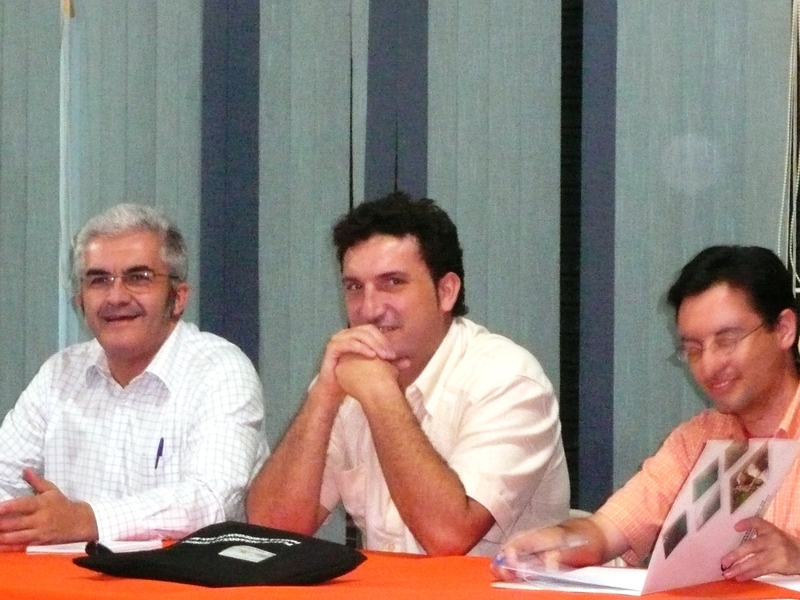 Last Thursday November 19th was a meeting in Sta Cruz in the Hotel Calle Alcala were the Government presented the company Inypsa who was selected (bidding) by the government to do the Plano Regulador for Guanacaste and its individual Cantons. Inypsa is a Company from Spain with 40 years experience , worldwide active with more than 450 employees. Inypsa just started about a month ago and will work with the local government and organisations and the people to complete the Plano Regulador (Regulator Plan, Zoning Plan). 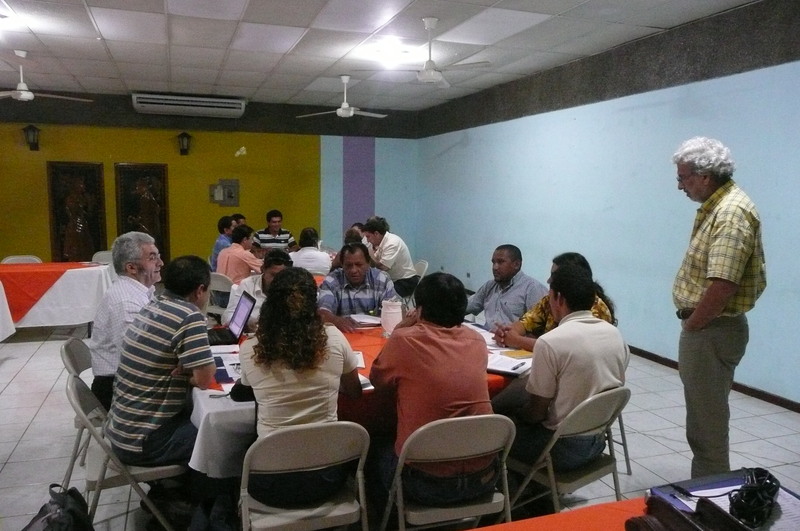 This first meeting was mainly to listen and collect information with representatives from the cantons like Santa Cruz, Carrillo, Nicoya, Hojancha y Nandayure beside others. Supervisor is the Consultant from Catastro y Registro Lic. 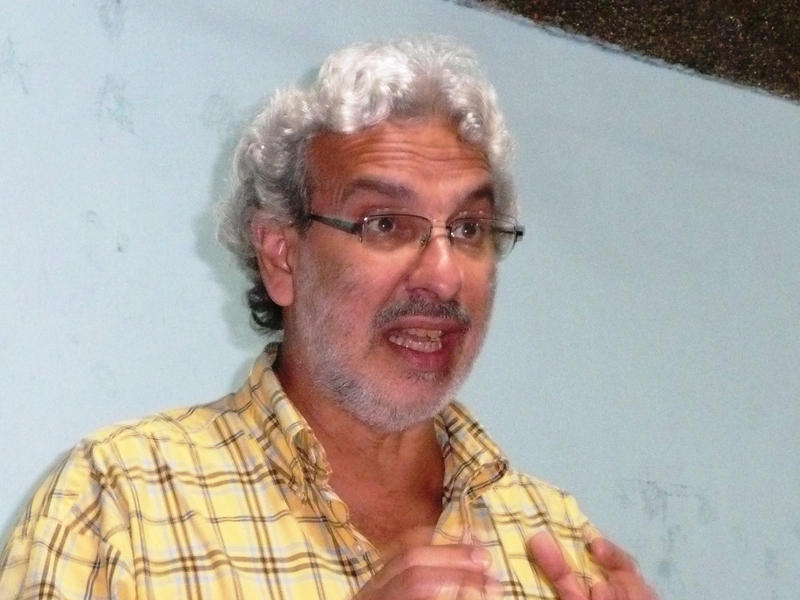 Ph.D. Manuel Arguello Rodriguez and assisting to Organize the project is Yesenia Matamoros Azofeifa. At the beginning of the meeting was a presentation by Lic. Manuel Arguello R. by using google earth to explain the different areas within Guanacaste. It will take about 1 year to establish and approve this Plano Regulador so in Jan 2011 it can be implemented. After lunch the groups worked by Cantons on geographic aspects as well as hydrological, economical, social, ambient with the existing and future development. Also the individual characteristics of each Canton and it´s people followed by a presentation of each Canton to the rest of the participants. 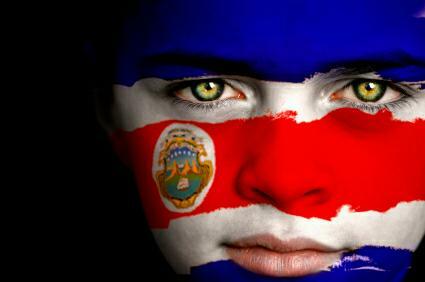 New Immigration Law in Costa Rica will be applicable in March 2010. Temporary Residences as ‘Rentista’: proves of 2500$ monthly (for yourself and family, children under 25 years old) Temporary Residences as retired: 1000$ monthly. The papers for the Temporary residences have to be presented in the Embassy or Consulate of Costa Rica. Those are granted for maximum two years and can be prolonged or renewed for another two more years. After 3 years the permanent residency can be obtained. All resident (temporarily or permanent) have to contribute to social security!!! If not no extension will be granted. If a foreigner stays more than the 90 days he will have to pay a 100$ per month being irregular before leaving the country; in case he doesn’t he will not enter the country for the triple of the period he has been irregular. A tourist to enter the country will have to show the return ticket and proves of financial funds for the stay. New memorandum effective at the Immigration Department in Costa Rica that allows you to obtain the residency as investor with the certification of owning a property with a registered value above 200,000$. The Us dollar dropped almost ¢9 colones overnight, dropping to ¢554.38 for the buy and ¢563.23 for the sell against the Costa Rican Colon. The exchange rate on Tuesday was ¢564.39 and ¢573.03, respectively, dropping ¢8.64 colones overnight, as published by the Banco Central de Costa Rica (BCCR). It was evident before the banks closed for business on Tuesday that a sharp drop was coming overnight, when some banks, like Scotiabank, were posting their rates at ¢554 for the buy and ¢562 for the sell. The dollar has dropped more than ¢30 colones since the middle of September, when the buy was ¢585.87 and sell ¢595.59 on September 18. The BCCR (Central Bank) says the changes are based on supply and demand, based on the excess or lack of dollars in the market. Today’s exchange rate is slight above the rate on November 11, 2008, when the buy was ¢551.18 and the sell ¢560.98. Experts say that the fall could continue as more dollars in the market place and lower demand means a drop in price. Other experts say that this could also be a sign of a permanent condition, while others say that there could be greater volatility in the coming weeks that in the past eight months. On Friday, October 30, RIU Hotels & Resorts celebrated the Grand Opening of the Riu Guanacaste, its first hotel in Costa Rica. The Ceremony was attended by the President of the Republic of Costa Rica and Nobel Prize Winner, Oscar Arias Sanchez, as well as the Minister of Tourism, Allan Flores, the Minister of Health, Maria Luisa Avila, and the Minister of the Presidency, Rodrigo Arias. Relevant personalities from politic and economic fields, local and media representatives, as well as partners and friends attended the ceremony. “Finally we count with a hotel in this wonderful country, a world example of sustainability and nature preservation. If to this we add the kindness and warm character of its people, the result is a magnificent tourism future” stated Carmen Riu, CEO of RIU Hotels & Resorts, during her opening speech. In her final words she expressed to the authorities and guests what a great honor it was that they accepted to celebrate the opening with them. Luis Riu, CEO of RIU Hotels & Resorts also attended the ceremony along with over 400 guests. The Riu Guanacaste hotel opened in one of the most beautiful destinations on Central America’s Pacific coast, where the sea and rain forest commingle to create an extraordinary landscape. The new hotel is located right on Matapalo beach in the captivating region of Guanacaste. With 701 rooms, the new resort offers RIU’s acclaimed 24-hour All-Inclusive service, succulent cuisine in its four restaurants and an extensive offering for events in its five conference halls. The hotel’s four restaurants present a wide array of options. ‘Liberia’, its main restaurant, offers a buffet featuring international cuisine with dishes prepared right on the spot as well as themed dinners three times a week. The hotel also features three specialty à la carte restaurants: ‘Furama’ with Asian cuisine, ‘La Toscana’ with Italian cuisine and lastly, the Ocotal Grill-Steakhouse. Furthermore, guests can enjoy cocktails, soft drinks and snacks in the hotel’s five bars. The hotel features a large swimming pool for adults with a built-in jacuzzi and a pool for children. The offering for our youngest guests is completed by a children’s playground and miniclub, whereas adults are able to use the full-feature Renova spa in which the gym, sauna and jacuzzi are free of charge. Evenings at the Riu Guanacaste also brim with fun-filled options at its Pacha nightclub and casino. The Riu Guanacaste hotel boasts a large, flexible space for meetings equipped to host all types of events. There are five halls in all, four of which measure 445 square metres and seat up to 120 people each, whereas the fifth one measures more than 900 square metres and can host events for up to 250 people. All of them have partitions and together can be turned into one single room for large-scale events of up to 730 people in its more than 2,700 square metres of space. Free wireless internet access is available in the hotel lobby as well as in the convention centre.